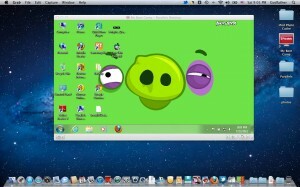 Lately, Apple published Bootcamp 4.0 tools that let you dual boot Windows and Mac OS X 10.7 Lion. Lion is a robust operating system-but then there are some Windows software that you may not want to miss in any other platform. Forming a bootcamp partition is the quickest method to get back your Windows applications working in Intel powered Macs. A step ahead, if you can afford to spend a little money, there is a good alternative. Using desktop virtualization you could even install and run Windows applications right from Mac OS X interface. I come across Parallels Desktop for Mac while searching for a good Windows virtualization software for Lion- which, in my opinion, is the best one out there. I ran WinRAR, PowerDVD, Internet Download Manager, and several other Windows apps and games in Lion perfectly without any delay in performance. Parallels desktop costs 79$ for single user license. Initially download a trial version by providing your email address. They might send you a $10 off coupon at the end of your trial period. 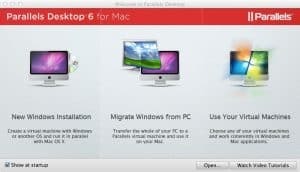 So how do I configure Windows 7 in Parallels Desktop for Mac OS Lion. Check the screenshot given above. Since I’ve already set up Windows in Lion, I’ll select the third option. 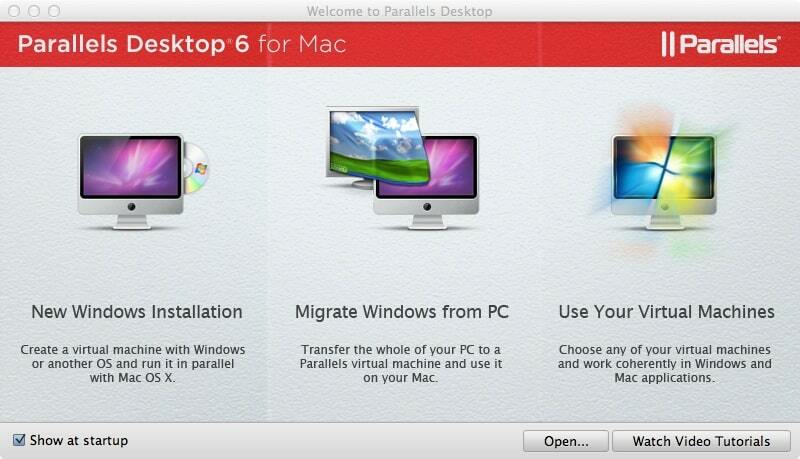 Parallels will detect the bootcamp partition and will start installing files required for virtualization. Manual input is needed at one or two points when it requires password and other administrative actions. At the end it will boot into a Windows Virtual machine inside Mac OS X interface. In this window mode, you can manage Windows and access its internal functions just like as shown above. Browsing through folders, opening multi-tasking programs, everything is as usual. The virtual machine well keep running in the background similar to an open Mac app, and you can minimize or restore it whenever required. Another view mode in Parallels Desktop for Mac is Coherence. 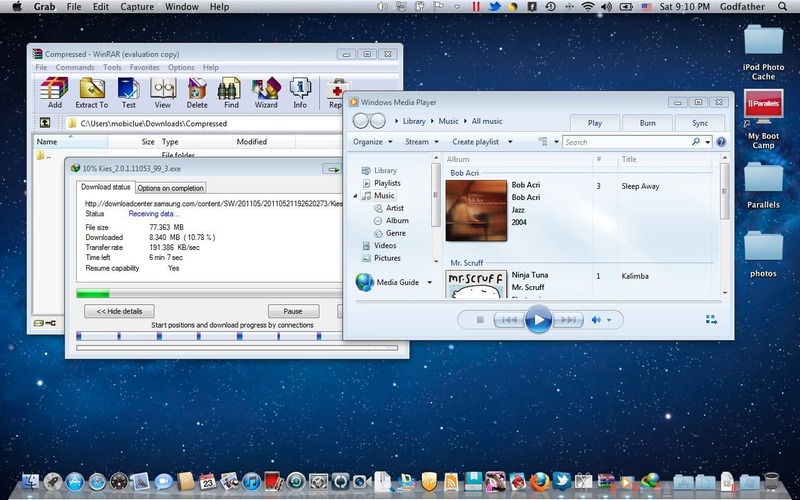 When you activate this from the bottom right corner of the virtual machine window, your Windows applications, menus, connected devices all gets linked to the Mac OS X Lion interface. Go to Windows program menu appearing at the dock and run any Windows application. It will pop-out and start working just like a Mac app. You can even install Windows executables in bootcamp partition well from OS X desktop. Isn’t that awesome? Go get the Parallels desktop for Mac here. If you want vitrualization for free get VirtualBox, it seems to have all the features and performance of Parallels or VMWare but is completely free. i tried to install parallels in my OS X Lion. everything was fine when till installation. now when i try to boot Windows 7 it gives some error saying drivers missing, reboot your Mac. 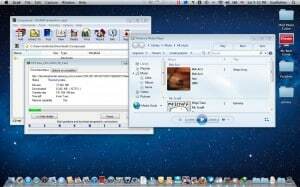 I have Snow leopard installed on my mac and I also run Windows 7 via Bootcamp. When I install Lion, would I need to reinstall Windows too? Also, I run Windows only to work in CorelDraw. If I run it through Parallels instead, should I notice any lag? By the way, I have an early 2011 Macbook Pro with 4GB RAM. 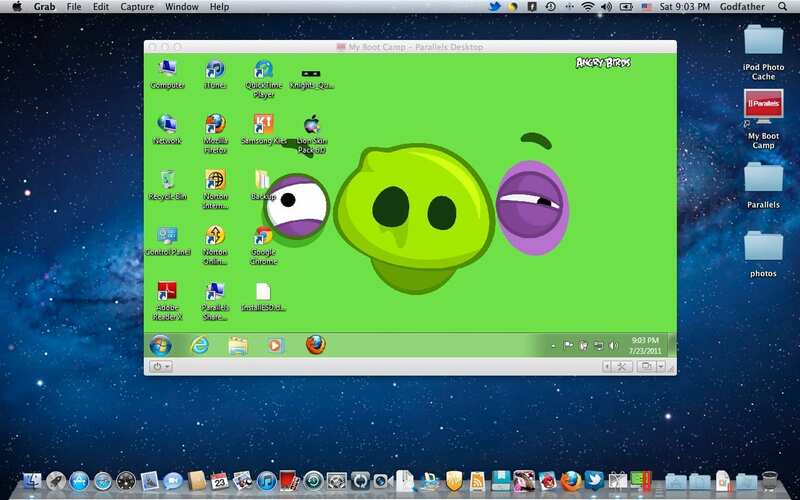 Yes, you can run Windows applications and graphics intensive games in Mac OS X Lion with Parallels Desktop.